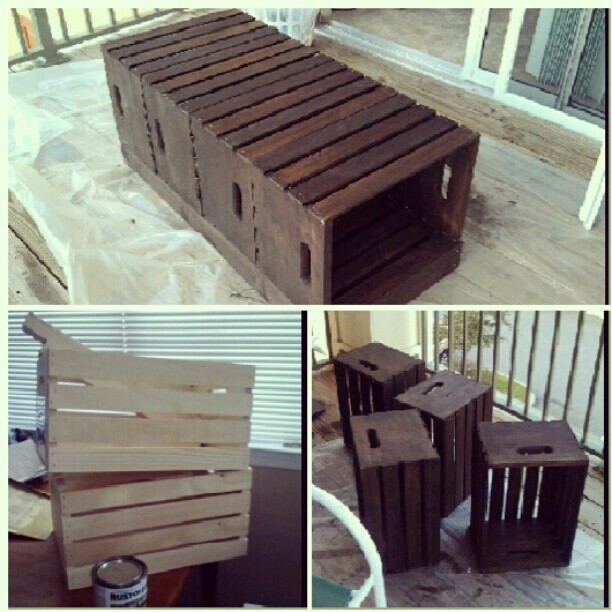 ' Crate Coffee Table - Sisters, What! I just had to share this awesome coffee table made by a friend. It's made out of crates which doubles as storage as well as a coffee table. What a genius idea!